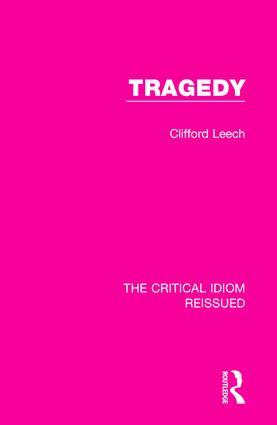 First published in 1969, this work examines the genre of Tragedy from its origins in ancient Greece, to the modern day. Beginning with an overview of the meaning of tragedy in Europe through the ages, it goes on to explore common aspects of tragedies such as the tragic hero, the chorus and unities, catharsis, peripeteia, anagnorisis and suffering. This book will be of interest to anyone studying European drama and literature.